As the biopharm industry works for transparency in clinical trials, the effect of the recession has seen the process become more expensive and more challenging. That’s according to Paul Desjardins, Senior Vice President, Pfizer Consumer Healthcare. A speaker at the marcus evans Evolution Summit 2011 taking place in Hollywood, Florida, May 4-6, Desjardins explains that companies are focusing on compliance and driving excellence while reining in the ever spiraling cost of clinical trials. “The challenge is always to prioritize the quality of clinical trial and patient safety, maximize the speed of enrolment in the study and control its final cost. 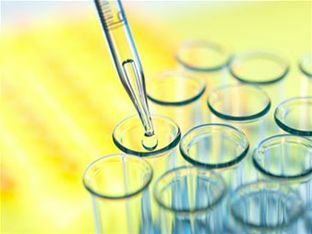 Companies are focusing on improving clinical trial compliance and driving excellence to minimize the likelihood of problems while controlling the ever increasing costs of clinical trials. “There are a number of clinical trial excellence initiatives in place that use principles of continuous quality improvement to prevent any potential risks posed by the trial rather than creating corrective action plans after the problems occur. The pharmaceutical industry and the consumer healthcare industry continues to focus on how to produce safe and effective medicines as quickly as possible. However in this current economic situation this has become more expensive and more challenging,” he explains. Desjardins predicts that over the next 10 years many of the early drug development projects will occur in small to medium size pharmaceutical companies. The marcus evans Evolution Summit will take place on May 4-6 in Hollywood, Florida.